It’s the most important part of writing a winning novel. I didn’t do much if any rewriting on my first manuscript until the first draft was completed. Only then did I start the long process. For my second manuscript I have been stopping after each 10,000 words and going back immediately to do some initial rewriting on word choice, transitions, and error cleanup. Currently I’m at about 30,000 words and racing towards a climatic conclusion. I should come in at about 40,000 words on this first draft of my second middle grade story (Hopefully by Thanksgiving). It will be cleaner, more focused, and in better shape to take on the long rewriting process. I actually enjoy rewriting, but I often need a little extra push to keep me motivated. These articles did the trick this time around. I have included the link and a favorite quote from each. Enjoy. I hope they are helpful. Expect to rewrite anything you write. I have never, ever seen a piece of first draft writing that couldn’t do with some rewriting. I should be clear: there are plenty of times when the thought of reading my own story one more time makes me want to vomit. Beginning writers tend to panic about making their story long enough, so they stuff the story full of Styrofoam to bulk it out, that is, they wedge filler between the action. Styrofoam does not nourish the reader. It’s boring. But first drafts never get published. Never. If your book is needing a lot of re-editing and rewriting as you receive feedback, you might start to feel like you are a hopeless writer and should give up. That’s normal. We all feel like that. But it isn’t true. 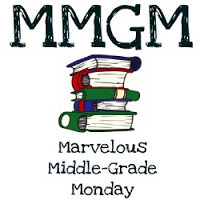 This entry was posted in Editing, Resources, Writing and tagged Middle grade, re-writing, Rewriting links. Bookmark the permalink.